If you remember in some of our earlier post, #3 and #5, we discussed how life happens and planning only what you are willing to commit too is essential? Well, July marks the begging of the end of the year rush, recently kicking it off with Canada Day on July 1st or Independence Day on July 4th, depending where you live. Then we generally have fairs in July or early August. August also marks school starting back up. September also marks several holidays including Labor Day, first Monday of the month, this year on September 3rd. Then follows October, November and December … which we all know what holidays are in those months and the goals we hope to set. However, the time has come to adjust the Real Marketing For Organic Growth blog series. 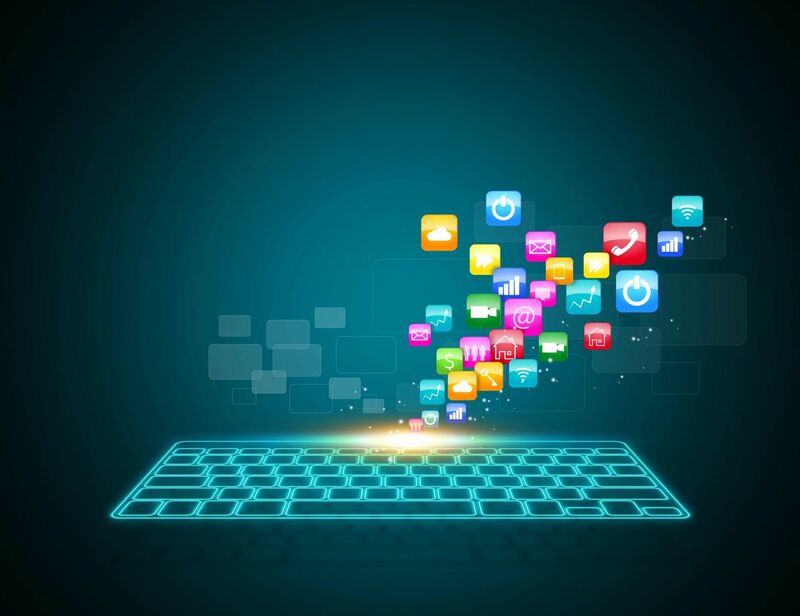 We are going to open up our blogging topics to include other important areas of your online presence, such privacy, social media changes, and current happenings found online. 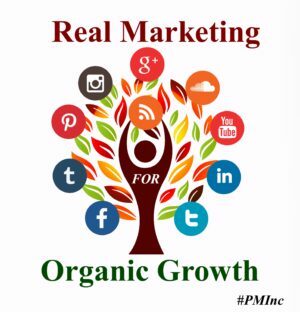 (Such as the Web Presence Mini-Series) We are also working on the Real Marketing For Organic Growth Workbook and will be sending out those important updates to our newsletter subscribers. It’s the most Wonderful time of the year… and Possibly Stressful as well. The Holidays are upon us and not only do we have to find time for family, work, marketing, and all the other jobs we do on a daily basis; we also have to find time for the Holidays and all that entails. Now many of you have been thinking about what your December Goals are for several months, but if you find yourself feeling a little stressed out and not sure where to start, Today Is The Day! It is December 1st, we have 25 days until Christmas, we have 24 days to get our gifts purchased and 21 days for online shopping. That’s right, 21 days for online shopping… and that is only if you purchase overnight shipping by 4 PM December 21st. As you may have began to realize that a large part of Real Marketing For Organic Growth revolves around finding the time to do it within your budget. But you now have to consider not only your stress levels but also those of your consumers. They have already done their “Black Friday, Small Business Saturday, Cyber Monday / Week shopping. They have already began deciding what to get their family and friends, they are already feeling the squeeze in their wallets and are wanting a way to do it all and stay on budget. So how do you help them and stay on target? That’s the beauty of having your own products, doing your own marketing, creating your own sales, you can showcase your lovely items and offer special holiday discounts with a little incentive. Asking for shares is one thing, inspiring them is another. Write a catchy subject line, create a motivating phrase, give them something more than just products but also something fun. For the clients of Personalized Marketing Inc and ourselves, we will be spending part of our marketing endeavors on lifting people up, bringing smiles, sharing traditions and hopefully inspiring others to do the same. Sure we will have our own Holiday Discounts but we will also be giving back to those we reach by posting something more than just a sales ad. This Holiday Season when you think of your promotional post, think of what you see each time you go to your own social networks, are they full of “buy, buy, better buy now” sales ads? Do you find yourself scrolling through those sales ads? Guess what a lot of viewers are too. However, are you stopping to look at the cute videos, maybe the kittens and puppies in holiday cheer, or even commenting on an “Elf On The Shelf” post? Which one do you prefer? I bet your focus group, your consumers, your hopefuls are paying attention to the same thing you are. You can help them by helping with their stress levels, you can stay on target by offering things that do not cost you anything additional while providing extra marketing materials of your own. I can remember growing up that this time of the year is more about spending time with family and less about getting to the store first. I can remember making memories putting up the Christmas Tree and baking cookies, rather than getting up before dawn to beat everyone else to the store. I also remember these being fond times of my childhood and I want to pass that along to my children and grand children. I did Black Friday one year and that was more than enough for me. Sure I got a great deal on a T.V. and a few other items but I didn’t get that nostalgic feeling I can remember as a child. The memories our children and grand children are getting include being bombarded with ads in the mail, emails for sales and going to the store suddenly is a health risk and takes even longer than before. While all this is normal at this time of year, it can still be a trying time. Not only are you dealing with others marketing efforts but you also have to do your own. So, how do you deal with all the advertisements and still entice others to pay attention to yours? Well you could jump on the band wagon and do your own Thanksgiving Day, Black Friday or Cyber Monday event. You could then piggyback of sorts off all the others that are doing it. You could go a little more traditional and just wish everyone a Happy Holiday Weekend remembering that it is a season of giving and not necessarily receiving. You could also chose to not do anything special at all. The choice is really yours to make. You have to be willing to make a decision and stand by it. If you do decide to do a special then you should be prepared for a couple different outcomes. One, you do great and get a ton of sales/emails/signups, which then you get the joy of responding to each one. Second, you do the work but do not really see any results from it. Now this does not mean that you did something wrong, it just means that your target group was busy elsewhere and will check you out when they get a chance. 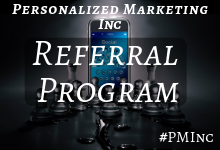 Personalized Marketing Inc, chooses to participate to an extent each year. We take the Holidays off and spend it with our families. However, we do participate in Cyber Monday with a special on services. Instead of counting on that one day only we do a Cyber Week special. Why? Because we know that if we are busy with family then our focus group is most likely as well. So deciding whether you want to promote during the holiday season is really based on you and those you focus on. Determining what to promote is also based on the people you want to reach and how you want to grow. Ultimately, it is better to put something out and keep going forward with marketing than it is to not. The very definition of Diversify – “make or become more diverse or varied.” Is a clear indication of not only how we should be as a people but also how we should be in our marketing. As I’m sure many of you have seen the changes to Twitter’s Character count and probably heard about the Business Feed testing Facebook is doing, you may be wondering how it affects you. If you are selling, promoting, working online, and use social media then you are affected by these changes. However, there is no reason to raise flags, have a cause for concern or worry about what comes next. 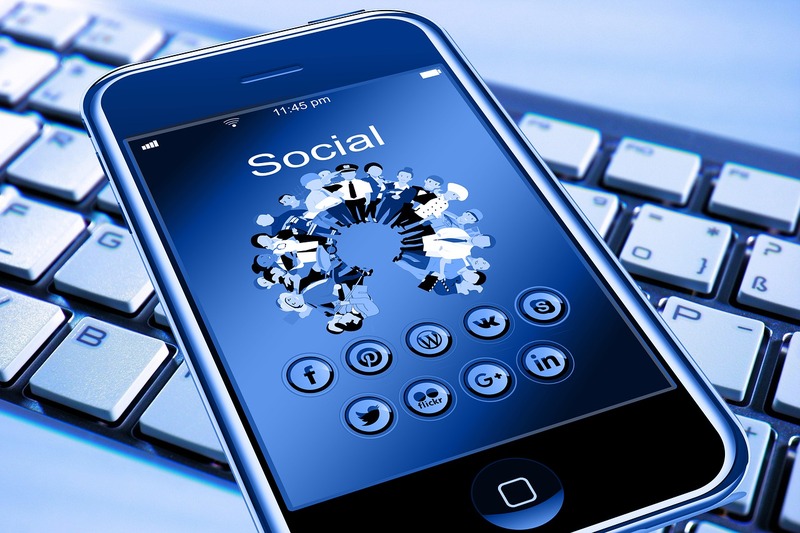 As we have discussed in previous articles you are already being social on your social networks. You are already engaging with your friends, fans, followers and you use more than one network. Also, because the very topic of this article is what you should be doing if you are not already, Diversify. You should not be relying on one particular social media account. There are several different services out there and yes some are considered on the top of the social media “list”. Remember, you define your own top list though. If you find that you have more success from using Pinterest, then it is your top social media. Cross Promotion is a beautiful thing. It allows you to diversify and spread the word about you, your company, your book, or your services on various social media networks. Sure when and if the business feeds appear in your location you will want to share that with your followers. However, if you are already interacting with them, they are most likely following you already. Facebook will offer paid services to appear in the main feed and whether you chose to use that option is up to you and your marketing team. Change in social media is not only expected but going to happen. Not too long ago MySpace was considered a top network on the “list” yet how many people use it or even have their original accounts today? So embrace the diversity, encourage social interactions and remember that your social media networks are only a part of your online marketing and your website is and always should be the primary source of information about you. During our “Real Marketing For Organic Growth” blog series, we have discussed different topics from hashtags to being on different platforms. However, for all of our good intentions, for all of our planning and preparing, Life Happens. Some of life’s changes can be for the better, some though are hard and the world as you know it has changed. Working through this phase in life can prove to be a bigger challenge than what you expected and you find yourself falling short. When this happens, you can either let it beat you down or get back up and try again. Today’s topic is about realizing that Life Happens. We are human, we can and will make mistakes. We are going to have moments that prove difficult to bounce back from. We have to accept that we make mistakes. We are not perfect. Recently, I had a llife-changing event and it has rocked me to my core. I made the mistake that I could attempt to bounce back. I made the error thinking that even though I was hurting my brain still worked the same. It didn’t, it doesn’t, they say “Time heals” for a reason. We need time to process, to realign our lives, to simply be nothing more than who we are in that moment. So as you are going about your marketing efforts and you find that “Life” has other plans, accept that “Life Happens”. If it is something hard, find solace in the people and things that bring you comfort. Give yourself a moment to breath and the time to process what has happened. Do your best to get through it. However, in the end if you make a mistake, learn from it, move on from it, and get up and try again. I apologize for not getting a blog out sooner, life happened and I am taking my own advice. 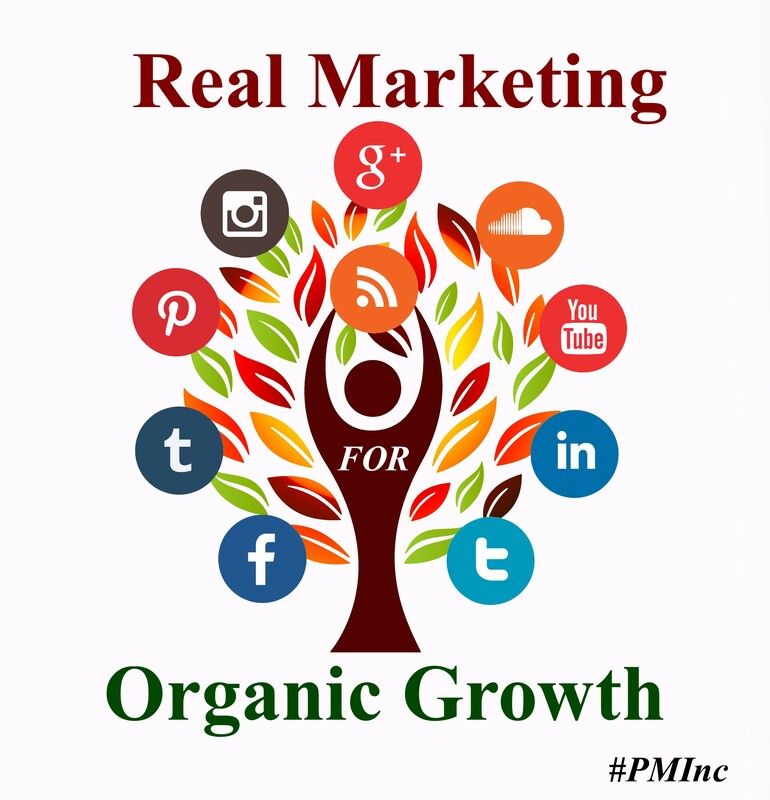 We have been discussing how Real Marketing affects Organic Growth, so now it is time to cover Branding. Are each of your profiles easily recognizable? When you visit your networks do you ever check to see what it looks like to the viewers? You should. It will give you a very real look at what they are seeing. Granted most of the people that come to you have an idea of where they are heading but not always and not if you are striving for Organic Growth. Look at the header image, does it represent you and your branding? Can the viewers immediately tell where they are and what you offer? What about your profile picture or logo? Is it continuous from other networks or a random image? Does the image have your company logo? Yes, everyone has a logo or they should have, no matter what service or product you offer. What about the content you are putting on the networks? Do they easily navigate users back to your own home on the web or are those that click the post getting taken somewhere they will get lost in the masses? What about your URLs are they pretty SEO friendly or do they look like a jumbled mess? Your website is your primary home on the web, it should have all of the different places you are found online listed. It should have primary images that are being used on the various networks. It should give the same subconscious message that you see with other websites (Coffee Time Romance, PM Inc). Often times when someone shops for a particular product they look at not just the item but who makes the item. These are products that the companies have taken the time and effort to brand them. As Personalized Marketing Inc celebrates another year, we look at the branding we have done so far. We look at the images we have out there and what it says about us. No matter what account you go to we have the same images and same color designs on each of them. Why? Because we want the viewers to know subconsciously where they are without having to guess and what to expect from us. Sure we put out new updated looks on our website but we still stick with the same color scheme, header, and logo. Why? Because we want a universal branding and we have taken the time to do Search Engine Optimization on the items we put out. Even the original banner for PM Inc can be found on a Google Search, we did not delete it, we simply upgraded the look of it. As you look at your branding, think about the images you are using, the fonts you have chosen and the color scheme you have. If any of them do not convey with a look who you are, the message you want to send and the emotional effect you want them to have. It might be time for a change. If you do change your look, make sure that you do it gradually. Do not cause subconscious confusion and make your fans think you are no longer available. As many know one of the hardest parts to marketing is finding the time to do it. Sure we use programs like Social Pilot and Hootsuite to help us schedule post and share from different sites, but that is only a part of the work involved. We still have to be on the networks to like and share, interact with our followers and engage the users. This means we have to find a balance between everything else we do and marketing. One tool you can use to accomplish this is Google Calendar or any calendar that helps you to keep track of what you do each day. 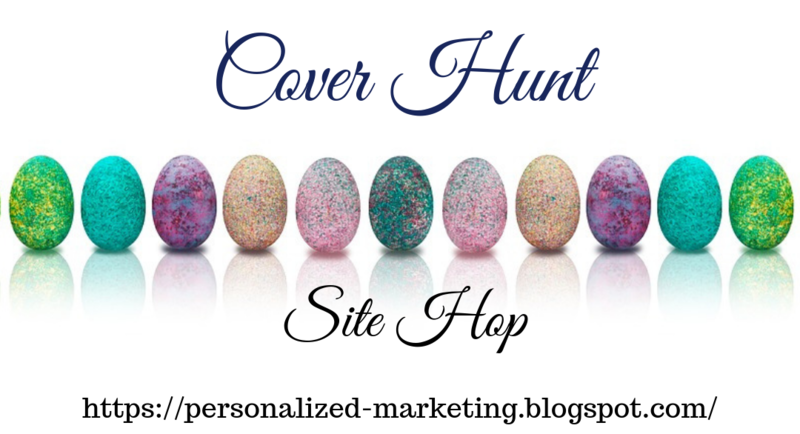 Personalized Marketing Inc uses Google Calendar, we actually have a few of them. I personally have 3 primary calendars, one for #PMInc events, PM Inc Daily task and a personal one. I put all my family’s appointments, my appointments, church events and pretty much anything that is not work related on it. I then add the Personalized Marketing Inc daily task as a guest. This puts the event on the Private Calendar for PM Inc’s daily list. I always set the personal events to private so I do not worry about it appearing on the Public Version. The PM Inc Daily task is also set to private since we value our client’s privacy. 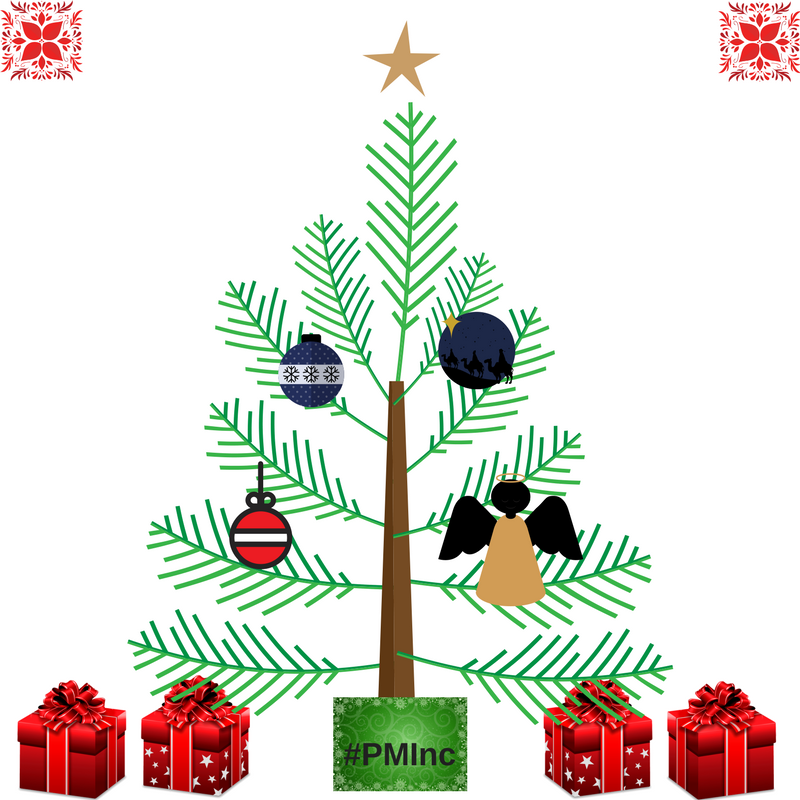 The Primary Personalized Marketing Inc calendar is set to public, this calendar has live events that either I or PM Inc is represented at. We also include public events for our clients on this calendar. So today’s task for Real Marketing for Organic Growth is to find time for Marketing. Now you can choose to have just one calendar, however, you might decide that you want to start using your Smartphone’s Calendar to find the balance between life and marketing. Determine how many calendars you need. Remember only do the amount you are willing to dedicate time to add events to. Now that you have filled in everything else, look at it and see where you can find time for marketing. Don’t panic if you realize you only have 15 minutes on one day and 30 on another day. Consistent marketing is not the minutes you spent but taking time each week to do it. The average person takes 30 days to start a new habit, so for the next month, you are going to have to commit to not just filling out your schedule but sticking to it. Let’s say you see you have 30 minutes each day free, it might be different times each day but it’s there. Put in that slot, FOCUS ON MARKETING. This is the time that you are going to dedicate to just marketing. You are going to pick a social network, check your notifications, share fan post and see what they are up to. Granted knowing your fans, focus groups, ages, locations, times they are on helps but that requires a bit more knowledge of Analytics. Have you set yourself up to fail? 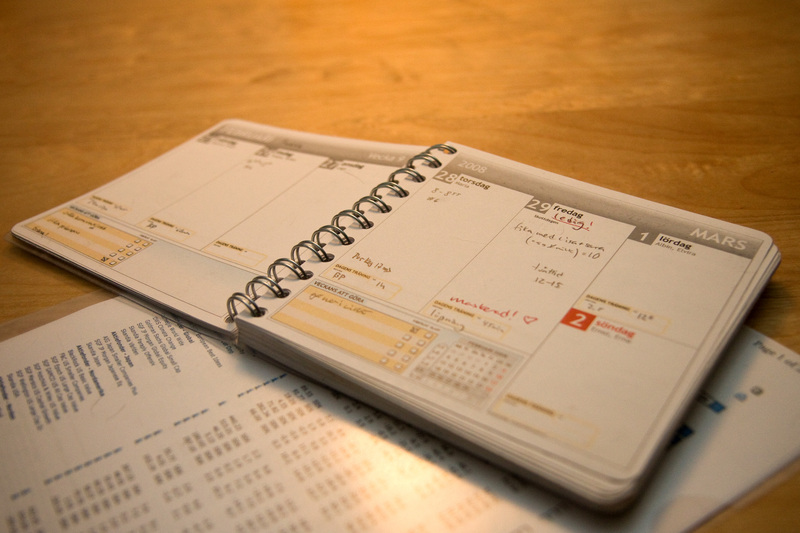 Have you scheduled yourself so thin that you cannot maintain all the different things you have put on your schedule? Probably. What happens when you take time off or get sick? Do you find that your different networks and sites show a drop due to it? When you take a vacation you find a sitter for your pets, you make sure that you ask neighbors to keep an eye on your home. So why not hire or ask someone to watch over your networks? Either hire someone/company or get a buddy system for your social networks. Do you have too many different social network accounts/profiles? Possibly. Do you really want an account for each of your endeavors or books? NO. If you know that you are not going to maintain the network, then it’s best to not even start it. You can use Hashtags and other ways to separate the different personas/products. If you find yourself with too many networks, then you spread yourself and fans too thin to get the maximum exposure. Do I really need to have the TOP 5 networks? Yes, and the reason why is Do You Have A Million Dollars To Spend On Marketing? No, most of us don’t but these large Social Networks and the Search Engines supporting them do. Have you noticed that you have to log into Google+, YouTube, Blogspot with your Gmail or Tumblr with your Yahoo? That’s because those sites are owned or branded by major Search Engines and to get on those Engines you have to use their services. What about accounts you have forgotten? First of all, do not panic. It’s okay if you have forgotten your passwords, you can recover them. Now do you close them out? Maybe, but if you have done cross promotions with your website then you are setting yourself up for 404 errors or worse sending people to someone else’s profile. The best thing is to either not open the account to start or log in once a month to make sure the account is not compromised. Have you filled out your own daily list of things that you have to get done? Does that list include Have to do’s, Want to do’s, and Must Do’s? In order to be successful at anything and especially marketing, you have to know what your day looks like so you can plan your marketing time each week. Once you know these items then you can create your Commit To list. These items will be the list that you are willing to do each week to be successful in your chosen career. Look at your wish and needs list and determine what items are you willing to add to your commit to section. Do any of your commit too items conflict with your needs or get done? If so, you need to reevaluate what you are wanting to complete and the time frame to get it done. Do you have unrealistic expectations for items on it? Most of us do, we plan 18 hour days and sometimes only get 8 hours to get things done. Or we make our daily list and tend to forget that we have to Eat, Sleep, spend time with loved ones, take care of our basic needs and of course there is always the occasional emergency or crisis we have to deal with. If you have no room in your schedule for life, then very often life will get in the way. In my previous post, we discussed being social on your social network. Which, you might be wondering how this pertains to today’s discussion. Well, you have to have time to be on your networks correct? You also have to have time to write too. If you are not using a service to handle your marketing, then you will have to be responsible for it. So, are you being social or just putting up post without paying attention to who your fans are? Have you added time for marketing, even just an hour a week? I know an hour does not sound like much but if you are not doing any marketing at all it can make a difference. Granted, I believe you should be spending closer to 5 hours a week on your marketing, but if you will commit even just one each week and get to learn your fans or followers you will notice a significant difference. Just spending 20 minutes each day looking at who follows you, who you follow, will help you put out post that are geared more towards your audience and less driving them away. Let’s assume you have been active on your social networks. You have been not only posting but liking and sharing others’ post. You have taken the time to friend new people in the hopes that they will like you back. Yet, you have noticed they have not, what then? Do you remove them? Do you ignore it and move on, or do you do something different? First, let’s examine why you added them in the first place. Are they in the same industry as you? Are they fans or friends of a fan? What made them stand out? The thing about social networks is that they are a social gathering place to not only get in touch but also promote. Now some users are never on their accounts, they never check their messages or mentions. Some use programs only and you can tell those by what is in their timeline. If all you ever see is Promo, Promo, Promo then most likely they are not really there to socialize and will not connect with you or anyone unless their marketing person tells them too. This brings me to the reminder “Promo, Promo, Promo” post will only get you promotions on your page. The true pattern is “Promo, Like/Friend/Follow, Personal Post, Re-Share, Promo.” See how promos are only done twice in the 5 times? That is because when a viewer comes to a page that is full of nothing but promotions, they lose interest quickly. People most likely know who you are when they find your network. You need to let them know what you are about, your interest, and the fact you are willing to share others items. This makes you a Person not a program. So back to the original question… what do you do? Review what they have put out. Is it a combination? If so, then you reach out to them, post a compliment on something they have put out. By being social even in the smallest way you are not only showing that you care but that you yourself can be valuable in their own promotions. Also, when you post on their post, their friends, fans, followers can see your comments and potentially find you. Remember Real Marketing takes time. Organic Growth requires commitment. Doing both together increases your chance at exposure and gains you credibility in your field. 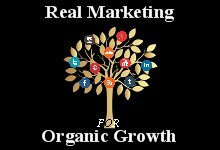 Would you like Real Marketing for Organic Growth post to come directly to your inbox? Great! Just use our Newsletter Signup Form below.